After what seemed a meaningless rest day (Bourbon Lancy is not the most exciting town in France), we departed towards the hills of the massif central. Today we cycled the veloroute Cronat-Paray Monial which follows the Canal Lateral Central. It is the first dedicated cycle path that really makes sense. It’s tarmac all the way, it’s signposted regularly, it has pique-nique areas and it’s loooooong, over 100km in length. We cycled 52km to Paray le Monial without sharing a meter of a way with cars (apart from a small deviation into Digoin for lunch on the way). The route was almost completely flat, apart from a series of hills between Paray and Charolles, the most picturesque part of the route (Ann hated the hills but loved the scenery). As we go south, the towns get more lively and interesting (although the working hours remain the same). Digoin and Paray le Monial are both worth a visit, as is Charolles. Paray is home to a very interesting basilica and a medieval old town. 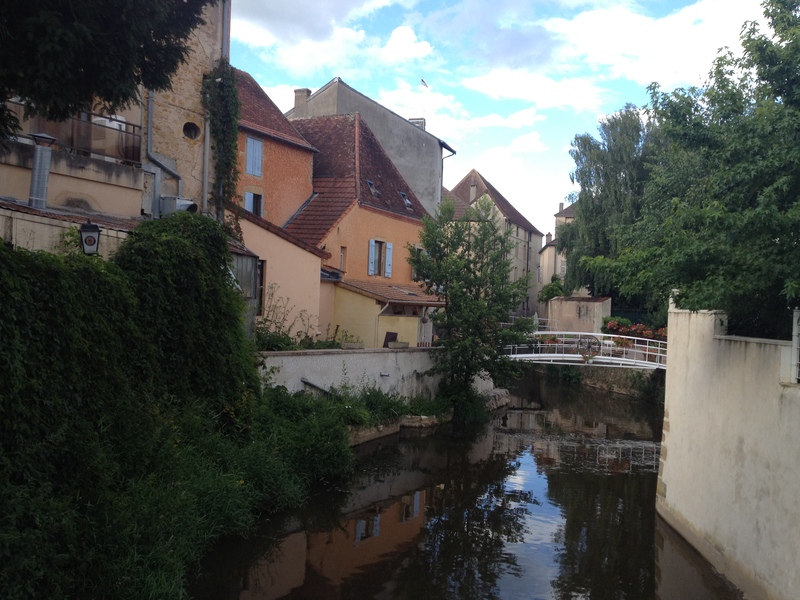 Charolles is just a very pretty place with a 10th century priory, a Clunesqe cathedral and a well-preserved old town. There is an abundance of wildlife in this part of Burgundy. We’ve seen a lot on the way along the canal. 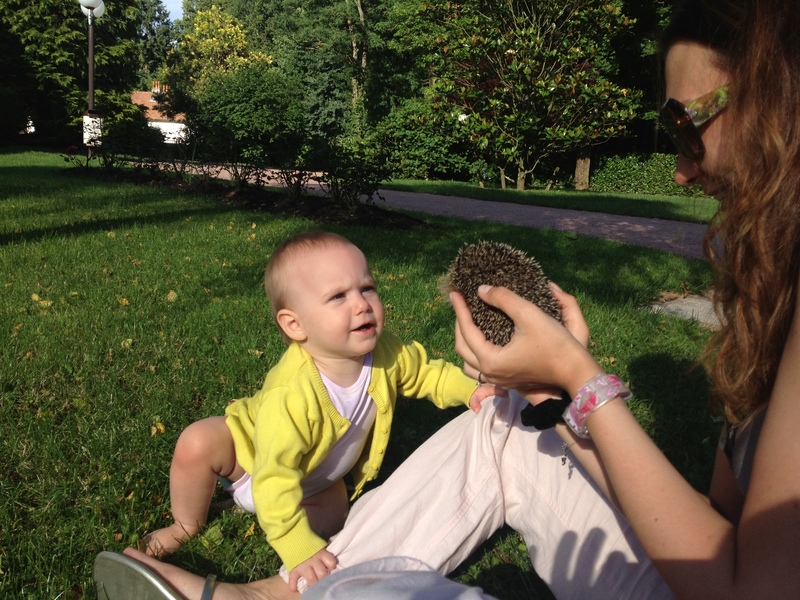 As we were taking a stroll around a park in Charolles and found a hedgehog! Dianna showed no interest, but the local kids were amazed. Tomorrow we will cycle to Cluny, a town home to one of the biggest and most famous cathedrals in France.